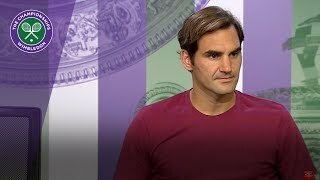 Roger Federer (German pronunciation: [ˈrɔdʒər ˈfeːdərər]; born 8 August 1981) is a Swiss professional tennis player who is currently ranked world No. 2 in men's singles tennis by the Association of Tennis Professionals (ATP). Federer has won 20 Grand Slam singles titles"the most in history for a male player"and has held the world No. 1 spot in the ATP rankings for a record total of 310 weeks, including a record 237 consecutive weeks. After turning professional in 1998, he was continuously ranked in the top ten from October 2002 to November 2016. He re-entered the top ten following his victory at the 2017 Australian Open. 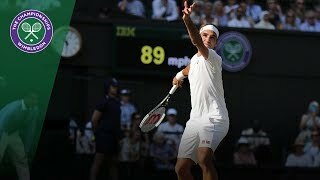 Federer has won a record eight Wimbledon titles, a joint-record six Australian Open titles, a record five consecutive US Open titles, and one French Open title. He is one of eight men to have captured a career Grand Slam. 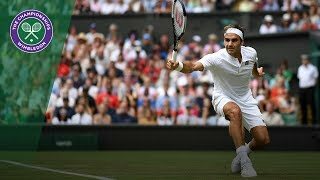 Federer has reached a record 30 men's singles Grand Slam finals, including 10 in a row from the 2005 Wimbledon Championships to the 2007 US Open. Federer has also won a record six ATP Finals, 27 ATP World Tour Masters 1000 titles, and a record 20 ATP World Tour 500 titles. 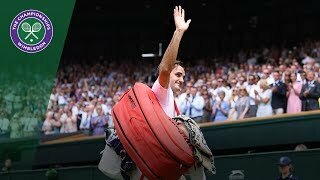 Given these achievements, many players and analysts consider Federer one of the greatest players of all-time.